What’s on the CDO/CAO horizon? What's on the CDO/CAO horizon? Last week I used the results of Sydney CDAO surveys from 2017 and 2018 to create a snapshot of CDO/CAO activity in Sydney right now. 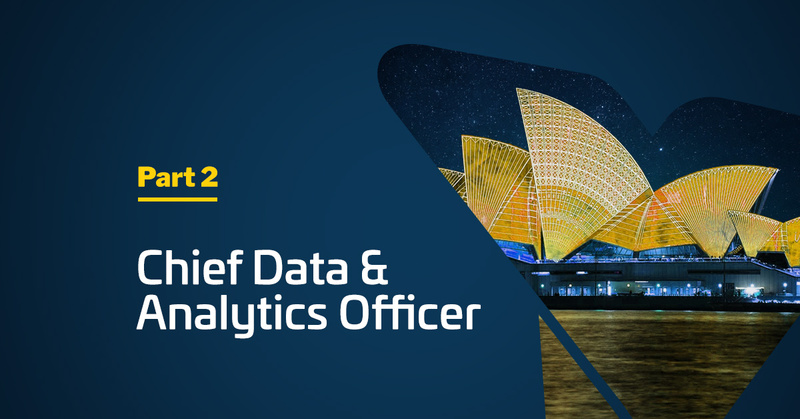 For Part 2 of this series, I’m using those same surveys to look at the areas of analytics that organisations are now planning to move into, the barriers holding CDOs/CAOs back, and a possible new focus for analytics – AI. No mention of security or other potential hot buttons. It’s all about analytics – achieving oversight, insight, and foresight. Almost 50% of respondents saw integration and cultural change as barriers, while two in five cited the difficulties of a management and governance framework. Given there is only a six month difference between the two surveys, it makes sense that the hurdles facing CDO and CAOs in 2018 are the same as the ones they faced in 2017. What is note-worthy is that the number of people dealing with these problems has increased. Driving cultural change recorded the biggest increase (up to 46% of respondents), indicating that this is a growing issue for organisations trying to implement analytics programs. There was one last, unexpected finding in the recent survey: nearly 43% of respondents are interested in evaluating software that has capabilities around Artificial Intelligence. With this new hype cycle trending and vendors bombarding the market with plenty of conflicting marketing, respondents report increased confusion and uncertainty around their next buying decision. This is seen with significant percentage increases in investment barrier categories such as “deciding which technology to invest in” (+14% to 31%), “identifying/selecting an approved vendor” (+11%). While the high levels of confusion will delay buying decisions, given time and more education, the market will eventually settle down and we will start to see local analytics implementations incorporating an AI component. The changes between the late 2017 and early 2018 surveys are not huge, but there are interesting shifts in focus and in priorities. It’s important to acknowledge that the data we are drawing on is of limited scope, at this stage only involving Sydney respondents. So none of the above can be considered definitive; it is probably best viewed as a progress report – an indication of where Sydney CDAs and CDOs were up to in March. At the end of the year, we’ll provide another update based on surveys conducted at the remaining Australian CDAO events. With more time and a greater body of responses to draw on, it will be interesting to see whether the nascent trends regarding strategies, female representation, industries, barriers and focus continue or change.